And some more fun surprises! Your host: Stacie Kenton is an avid outdoorswoman, adventure seeker and dog mama. 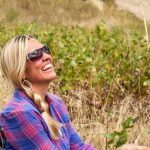 She is passionate about sharing her love for the outdoors with other women and creating spaces for those who are looking to explore the outdoors, connect with like-minded women, take time for themselves and step out of their comfort zone. 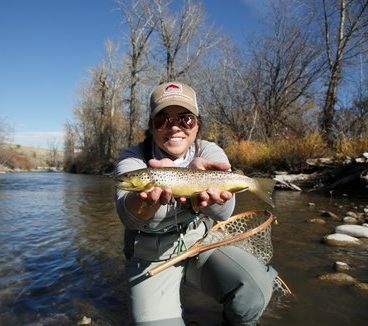 Your instructor: Laurel Monaghan is an avid angler, hunter and travel connoisseur. 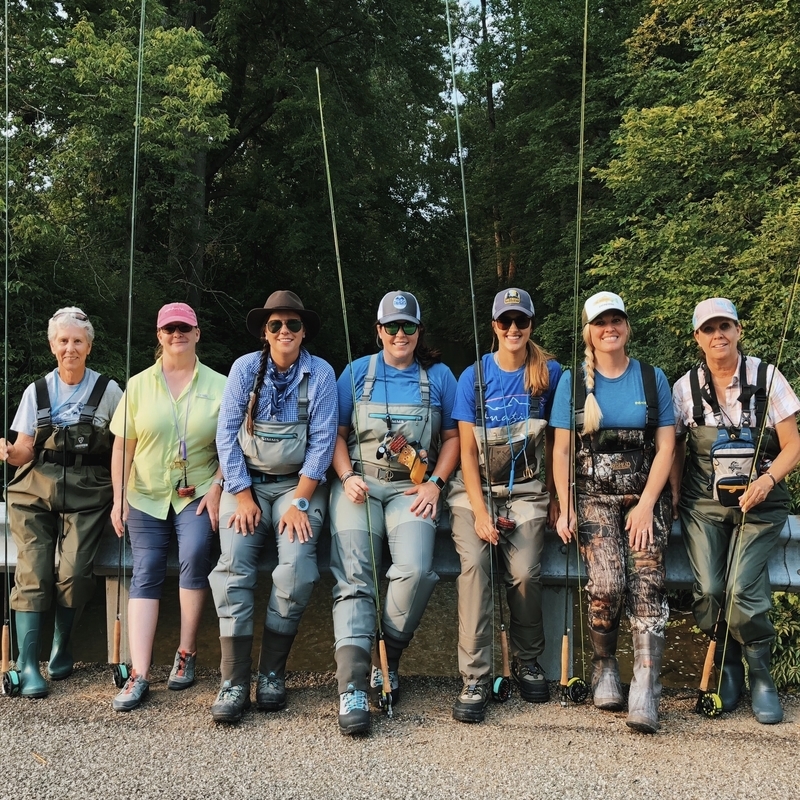 Laurel’s passion lies in supporting others in their experiences in the outdoors and helping them gain the confidence to get on the water and in the field. Learn more about Laurel here. We have an amazing workshop planned and space is limited. Hope to see you there! When will I arrive and depart? You’ll want to arrive on the afternoon of Thursday, April 4th. You’ll depart Sunday, April 7th in the morning or early afternoon. Do I have to be an experienced angler? Absolutely not. The point of this workshop is to teach the basics of fly-fishing and give you a solid foundation to build on. Do I need to bring my own waders and boots? Yes, bringing your own waders will be required if you plan to wade the river. A pair of rubber boots or waterproof boots is also recommended. Do I need to bring my own rod and gear? No. If you have your own gear, please bring it! It will be helpful to practice with your own gear. If not, we’ll provide everything you need. What kind of clothes will I need to bring? Average temps in April are usually low-60s for the highs and mid-40s for the lows. You’ll definitely want waders and a pair of rubber/waterproof boots for the on-the-water sessions. For the rest of your time here, go for comfort. We’ll be spending a lot of time outdoors during the day and sitting around a cozy campfire in the evenings, so whatever you’re most comfortable in. Do I need to purchase a fishing license? Yes. You’ll need an Ohio fishing license (Three-day non-resident license ($19) is fine if you don’t live in Ohio). This can be purchased online or once you arrive. Am I guaranteed to catch fish? No, we’ll be fishing waters where our native trout population resides but a catch is not guaranteed. **If flying, Dayton or Columbus are our nearest airports. ***We are happy to accommodate any food allergies and requests. © Copyright 2015 Follow Your Arrow. Web Design by Sarah Cauble. Web Development by Shivika Asthana.